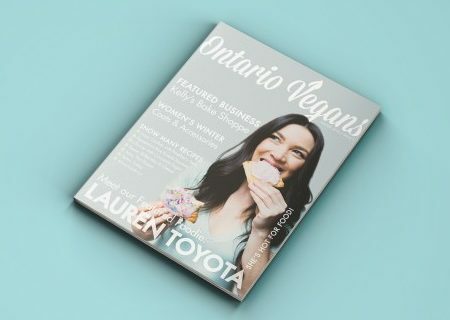 I love collabs, and I also love supporting our friends in the vegan community! This southwest stuffed sweet potato recipe was created in collaboration with the Toronto Vegetarian Food Bank. I bet you didn’t even know that was a thing! Well it is, and it’s a much needed resource since typical food banks aren’t providing people with fresh whole foods. Plus there’s certainly not enough healthy vegetarian/vegan options. This means people who can’t afford groceries for various reasons and who can’t or don’t eat meat and dairy have no other choice but to consume it or go hungry. If you just want the recipe for the southwest stuffed sweet potato, scroll to the bottom of the page! …starting a food bank is no easy under taking. I’m friends with the guy who took on the task, Matt Noble. 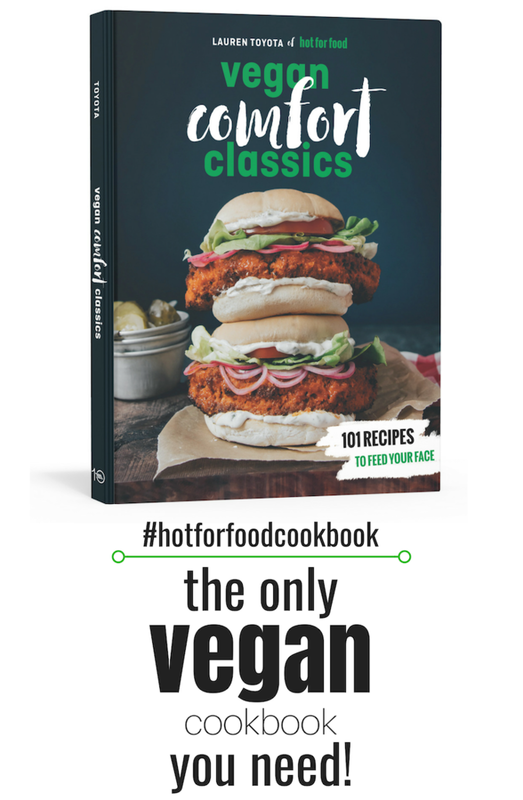 I wanted to promote the good work he’s doing in our community as well as create a tasty veg-friendly recipe using the variety of food items one can get from the Toronto Vegetarian Food Bank. Plus I’m out to show everyone that eating vegan doesn’t mean you have to sacrifice taste or fulfillment, so this was a unique opportunity to prove that again! The Toronto Vegetarian Food Bank has partnered with Yonge St. Mission and relies on great volunteers to operate as a pop-up on the last Saturday of the month. 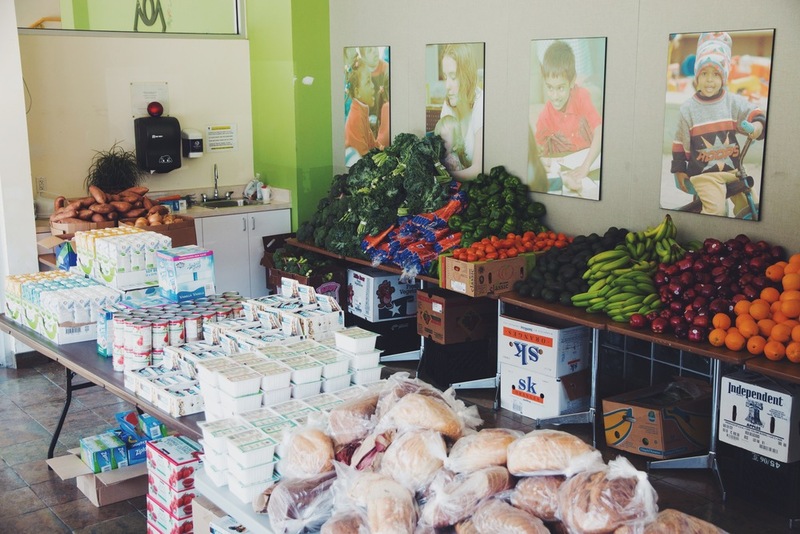 Those who are vegetarian, vegan, or actively transitioning can gain access to the food bank and can qualify in the same way as any other food bank. Details can be found here and they’ll be opening their doors next on May 23 from 12pm-4pm. I was able to get a good look at the “haul” of what one person would receive from the food bank in a single visit. It’s nice to see vegan staples like kale, non-dairy milk, and tofu! You would never get these items at a conventional food bank. Plus the variety of fruits and veggies like tomatoes, avocados, limes, garlic, sweet potato, peppers, bananas, carrots, and onions are over half the load! …is funded through cash donations, that way fresh food and produce can be purchased wholesale, maximizing variety and nutrition and minimizing the amount of non-perishable items (which is what typical food bank donations have to be). So that’s where you come in! Help out fellow vegans/vegetarians by making a donation here. If you’re a Canadian veg business, you can even get involved with fundraising through the sale of your products or with events that TVFB is currently working on. Be sure to reach out to them here if you’re interested. Remember, with all the abundance that surrounds us on this planet no one should go hungry! Do your part and support your local food banks. This southwest stuffed sweet potato uses sweet potato and chickpeas as the base for this meal. Garlic and onion provide a lot of flavor, as well as a special ingredient that’s included in the grocery haul from TVFB. I also used kale, avocado, and lime because they’re my faves! Magic vegan bacon grease is a Toronto business that makes… vegan bacon grease! The creator, Chris, generously donates the bacon rendering or “bacon bits” from his production that would otherwise go to waste. Thank you, Chris! This southwest stuffed sweet potato proves that eating vegan can be affordable, filling, and tasty! Boil dried chickpeas in a pot of water for 5 minutes, then remove from heat and cover. Let chickpeas sit for an hour. Drain the water, rinse, and add them back to the pot with 2 litres of water and boil for 2 hours until tender. You can do this a day in advance of making the southwest stuffed sweet potato to save time. This is optional, but you can roll the cooked chickpeas between paper towel with your hands to remove the outer skins. I didn't and it gets so mushy and cooked down that it doesn't totally matter. Preheat oven to 350°F. Wash your sweet potatoes and poke them around the surface with a fork. Cover each sweet potato with 1/2 a teaspoon of olive oil and a pinch of sea salt and ground black pepper using your hands. Bake on tin foil for approximately 60 minutes or until cooked through. You could also do these in the microwave for 5 to 7 minutes, but make sure you don't put in the tinfoil. Meanwhile in a pan heated to medium, sauté onion in 1 tablespoon of olive oil for 1 to 2 minutes. Then add vegan bacon bits and cook for another 2 minutes. If you're using the actual magic vegan bacon grease, cook onions in 1 tablespoon of it for 4 minutes until soft and fragrant. Add cooked chickpeas to the pan. Mash with a potato masher (or a fork) to rough them up a bit. Stir frequently and cook for 4 to 5 minutes. Add minced garlic and cook for another 4 minutes. Add another tablespoon of oil (or magic vegan bacon grease) as the mixture starts to look dry. Once chickpea mixture is cooked and browned up, remove from the heat, cover with a lid, and set aside while you prepare the kale and guacamole. Squeeze 1/2 a lime onto finely chopped kale and add a pinch of sea salt. Massage the kale with your hands for a couple of minutes to allow the juice and salt to wilt and soften the kale. Cut avocado in half and remove the pit. Scoop the flesh of both halves into a bowl and add the juice from the other 1/2 lime. Add sea salt and ground black pepper to taste. Mash with a fork until well combined. When the sweet potatoes are done baking, remove them from the oven on the tin foil and cut each potato in half. For each serving, scoop some smokey chickpea mash onto the plate. Place a half sweet potato on top, skin side down. With a fork, lightly mash and fluff up the inside of the sweet potato. Add kale, guacamole, and diced tomato on top. Serve immediately. If you can't get the magic vegan bacon bits or magic vegan bacon grease, use another brand of simulated bacon bits as most are vegan. A few drops of liquid smoke works as well. Our only nemesis... dried chickpeas! They take forever to cook. Feel free to use canned ones if you can get them. We usually use eden organics brand which is preserved with sea salt and seaweed in a BPA-free lined can.